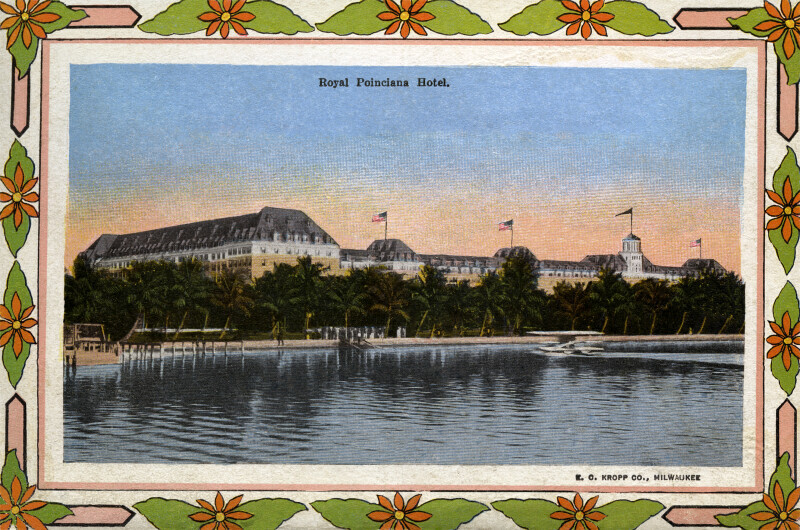 This is a view of the Royal Poinciana Hotel, from Lake Worth. There is a wooden dock visible, on the left margin of the picture. To the right, there is an airplane landing on the surface of the lake. There are three American flags, and a pennant, flying from the roof of the hotel.